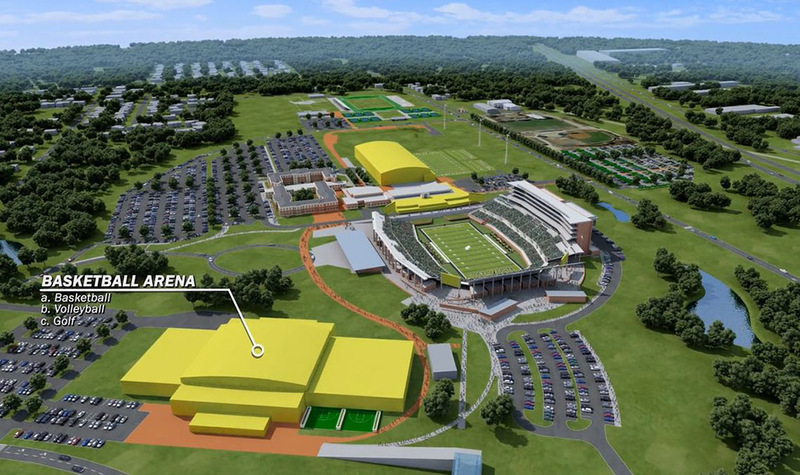 To achieve the goal of consolidation of the athletic facilities, the Athletic Facilities Master Plan is primarily focused on the development of a 200-acre site south of I-35E, known as the Eagle Point Campus (Figure 1.1) and Mean Green Village. 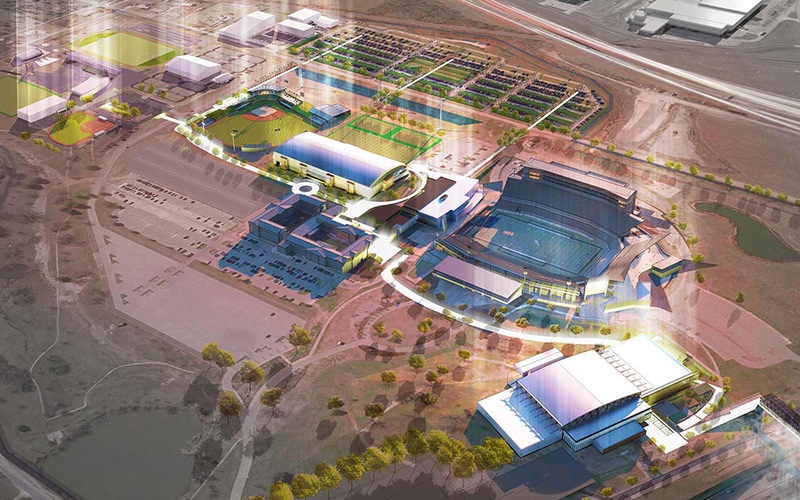 The Master Plan locates all current and future anticipated sports to the Eagle Point campus, creating a cohesive Mean Green Sports Precinct, which is beneficial to enhance time in a student-athlete’s day, create a centralized recruiting path, establish a stronger brand for UNT Athletics, and maximize efficiencies through economies of scale for parking, maintenance, shared-use facilities and overall logistics. 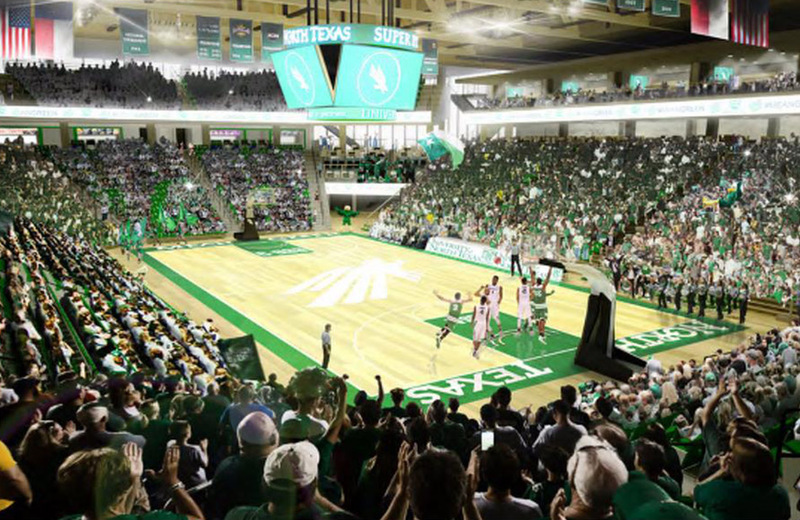 A program for each sports facility needs was developed, then each existing facility was analyzed for reuse, expansion, or re-purposing. 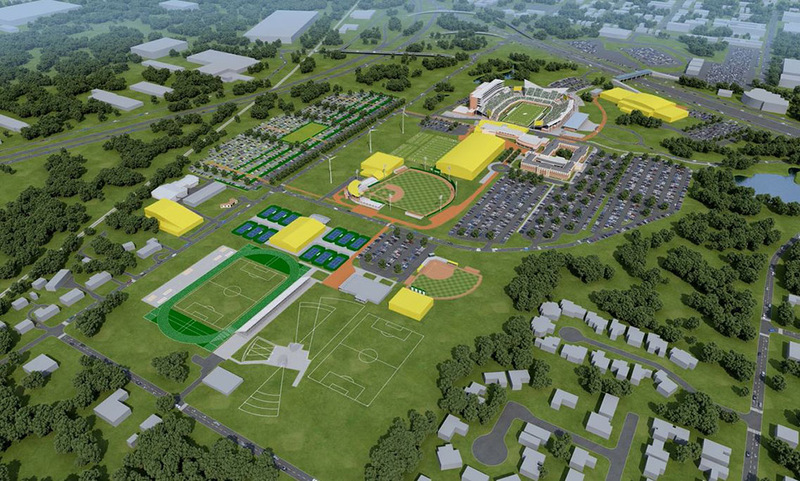 New facilities were proposed as required to create a consolidated athletic village.